How your company’s documents are handled can have direct impact on your overall performance. Let’s take your invoicing process, for example. Customers expect prompt and accurate billing and your company needs efficiency to ensure that accounts payable team members have time to complete all of their work. Technology has enabled you to automate many elements of the invoicing process. The ability to route documents to the next stage of approval with the touch of a button or click of a mouse can dramatically reduce the amount of time spent on invoice processing. This gives your employees more time to spend on other tasks, thereby making the department more productive overall. Eliminating the need for manual data entry or repetitive work can ensure a higher level of accuracy in this critical business function—something you and your customers will appreciate. With an expedited approval process, invoices can get out to customers faster as can confirmation of their payment or account status. These things might seem small but are anything but and they go a long way toward overall customer satisfaction. In this day and age of security breach after security breach, protecting sensitive data is a must. Digitized documents can be encrypted to safeguard customer and company information that you don’t want to fall into the wrong hands. Retrieving information from archived digital files is far easy and less time consuming that filtering through a mound of paper files. There are often logical reasons that old invoices are needed. Keeping these documents in digital form makes accessing them more feasible. When you stop to consider all of the steps in an invoice’s journey from creation to archiving, you can see many opportunities for delays and errors to creep in. Simple things like scanning paper documentation into invoice workflows can prevent this from happening. 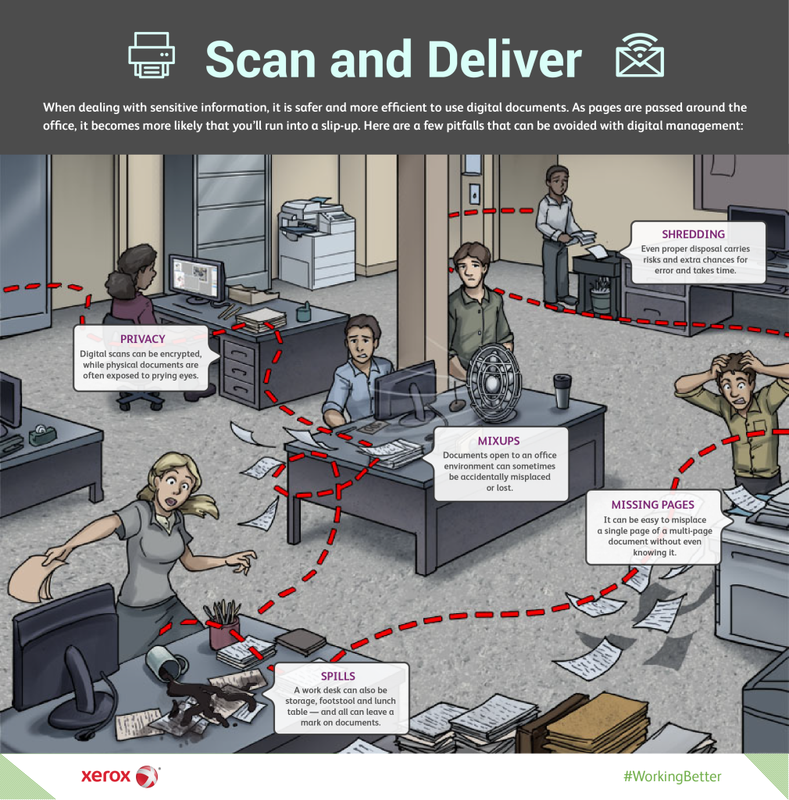 See our infographic to learn more about the benefits of paperless for all kinds of workflows in your organization. Take advantage of the new year as motivation to upgrade your office workflows to include advances like Xerox® ConnectKey® Technology. You’ll be amazed at how easy going digital really can be. 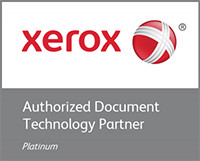 Learn more at xerox.com/smb.